Aaron M. Wood is a choreographer, educator, dancer, and mixed-media designer. 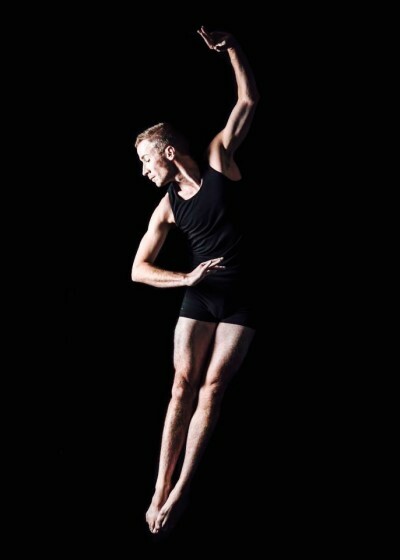 From 2007-2014, Aaron danced with the world-renowned Repertory Dance Theatre, where he had the pleasure of performing the works of such dance legends as Merce Cunningham, Glen Tetley, Doris Humphrey, Michio Ito, José Limon, Murray Louis, Daniel Nagrin, Yvonne Rainer, Anna Sokolow, Shapiro & Smith, Charles Widman, and Laura Dean. He has had the opportunity to work with such esteemed teachers/choreographers as Tandy Beal, Ellen Bromberg, Della Davidson, William (Bill) Evans, Abby Fiat, Zvi Gotheiner, Susan Hadley, Satu Hummasti, Andrea Miller, and Peter Pucci. He has performed on stages throughout the US and abroad such as The Joyce Theatre (NYC), The Kennedy Center for Performing Arts (Washington, D.C.); The White Wave Dance Festival (NYC); The American Dance Guild's 50th Anniversary (NYC); The International Choreographer's Showcase (Madrid, Spain). As a freelance dancer, Aaron has guested with Ririe Woodbury Dance Company where he enjoyed performing the works of dance innovator Alwin Nikolais. As a choreographer, his works have been seen internationally and nationally with appearances at the 2015 Beijing International Ballet and Choreography Competition and the 2016 Midwest Regional Alternative Dance Festival. Together, with fellow educator Sarah Donohue, he continues to further his choreographic and performance skills in their emerging dance company My Turkey Sandwich.